Roasted Radishes Recipe with Potatoes – Roasting radishes mellows their peppery bite and brings out the sweetness of this tasty vegetable. 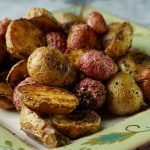 Paired with potatoes they are a yummy contrast in flavor and a great side dish to serve with just about any meal! Simply roasted this is an easy side dish. 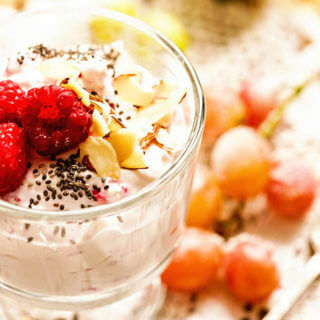 Perfect for a simple meal and also great on a buffet. You know I’ve been talking about all the grilling we’ve been doing lately, right? There’s something about a big T-Bone on the Weber that makes my mouth water every time! Yes we’re enjoying the gas grill…. but every now and then, it’s good to breakout the big-boy too! Gotta love a great meal on the grill! This time though I thought I would mix up our sides and rather than serve just the asparagus with the steak I broke out my roasted radishes recipe. Have you ever roasted radishes? 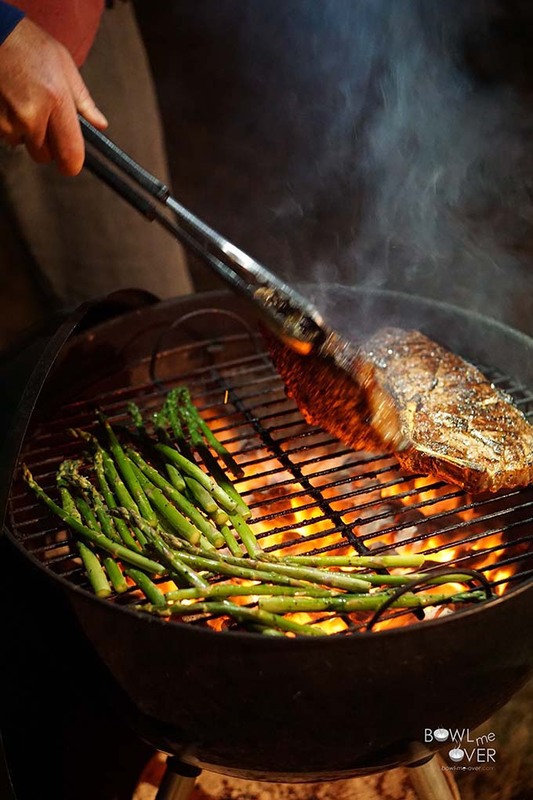 Steak and asparagus on the grill. You betcha! Roasting the veg makes them slightly sweet and mellows the peppery finish you get from a raw radish. They are delicious roasted! Do you have to peel a radish? While you can peel the radish, I certainly don’t. I love the pretty red color that comes from roasting. The bright red of the outside turns into a mauvish-red. The outside crust delicious, while the inside of the radishes gets light and fluffy! Though it’s been hot, we’ve still been doing some BBQ’ing. Dan is quite the griller and I find it’s best when I just step out of the way and let him do his thing, because he does it very well! 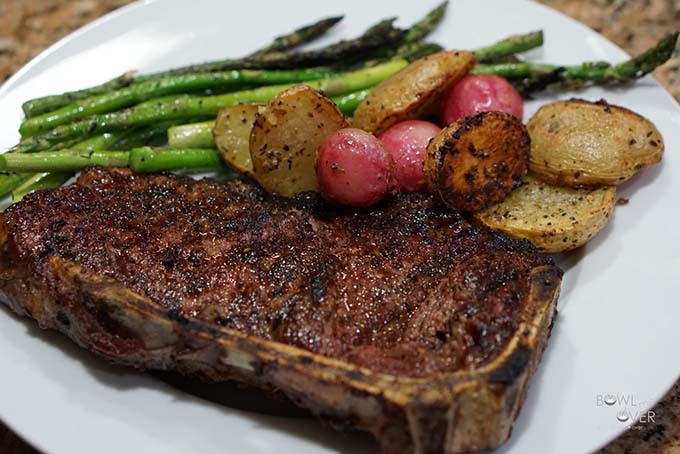 I mean just look at that steak, right? What does a roasted radish taste like? Roasting the radishes tames the peppery finish you get from a raw radish and makes them slightly sweet. 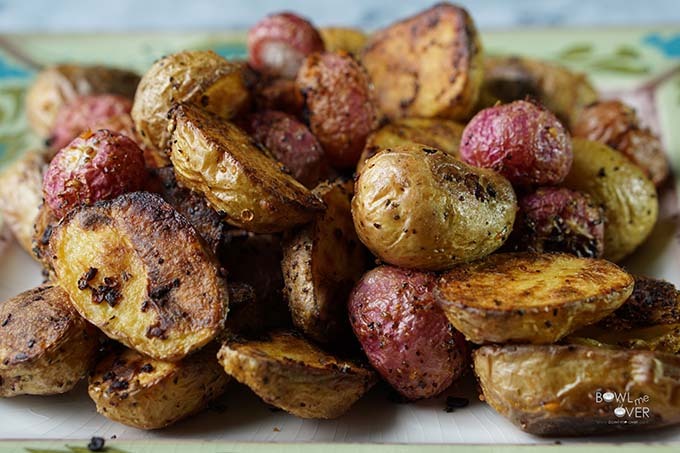 Think roasted potatoes with more flavor! Really this is an outstanding dish! Great flavor, they are juicy and delicious! 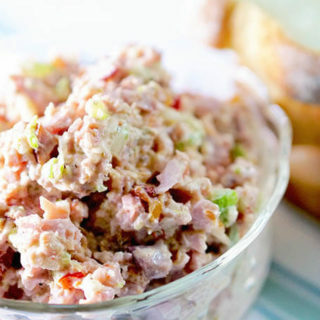 Mixes up your dinnertime side dish routine. They are a low carb, tasty veggie! Ok… at this point are you thinking…. Deb that’s just weird? Perhaps but I want you to give this a try! Radishes and potatoes are affordable year-round, so go ahead and step out on that ledge just a bit. I think you’ll find that you really like these! Roasted Radishes Recipe with Potatoes is a tasty side dish! Lots of people roast potatoes, but if you’ve never tried roasted radishes, it’s time to change that! It’s super simple (that has definitely been my theme as of late) and really flavorful – it’s the perfect and affordable side dish for grilled chicken, pork or steak. How long can you keep radishes in the fridge? Unwashed, radishes will last three to five days in the refrigerator. How do I keep radishes fresh? Wash them to remove any dirt. Remove the tip of the root. Wrap them in a damp paper towel and store them in a plastic bag. Properly stored radishes will keep in the refrigerator seven to ten days. Step by step instructions for the roasted radishes recipe. 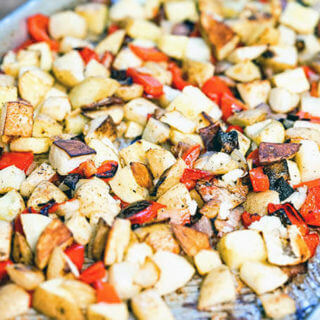 How do you make Roasted Radishes Recipe with Potatoes? Clean the potatoes well and slice them in half. Put the potatoes & radishes in a large bowl. 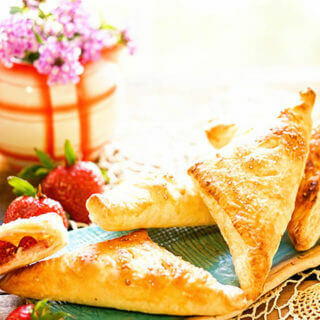 Bake in preheated oven, flipping once during cooking time. 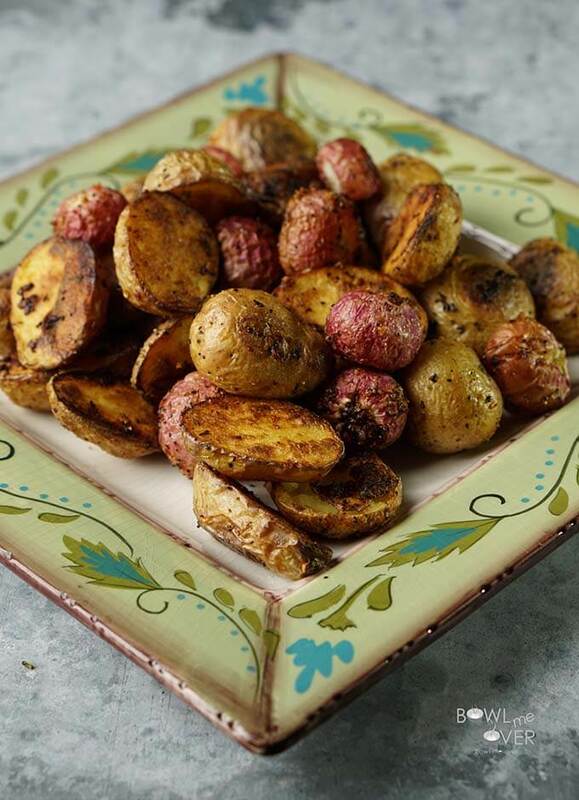 We all know what roasted potatoes taste like and the radishes, well roasting mellows their peppery spice, lightens their color and sweetens the flavor just a bit. They taste kinda like a roasted turnip with a peppery finish. 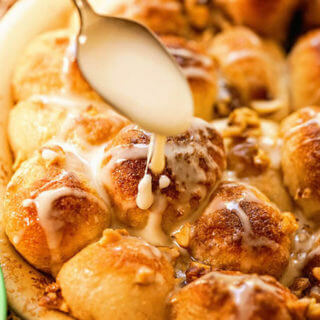 We LOVE them – it’s definitely something you’re going to want to try! Plus they are a great low carb substitute if you omit the potatoes. Dinner is served! This is really a great side dish!! When you give this a try, be sure to come back and comment below I’d love to hear what you think of roasted radishes! Or on Instagram, please tag me at @bowl_me_over – can’t wait to see your comments!! Roasted Radishes Recipe with Potatoes - Roasting radishes mellows the peppery bite and brings out the sweetness of this tasty vegetable. Paired with potatoes they are a yummy contrast in flavor. Wash and clean potatoes. Slice any large potatoes in half - put them in a large bowl. Drizzle the vegetables with olive oil and mix well. Sprinkle with grill seasoning, salt & pepper. Mix well to combine. Put all of the vegetables on a sheet pan. Make sure they are evenly spaced out so they can roast (not steam). Place cut sides down. Scatter the radishes around the pan. Place in the preheated oven for 20 minutes - remove & flip all of the vegetables over, return to the oven for another 20 minutes. 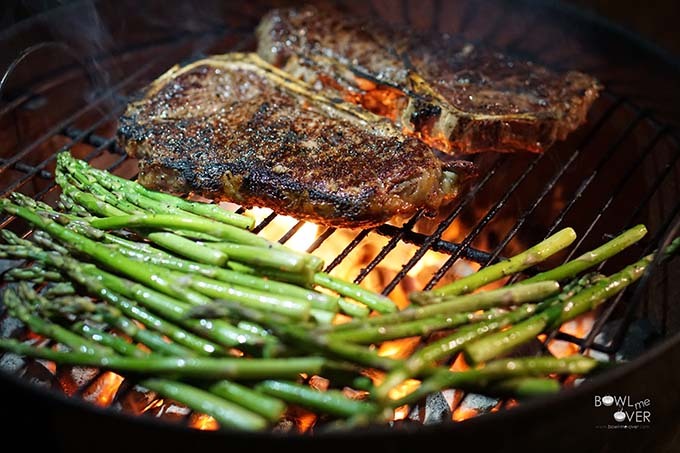 « Tips on how to grill lamb chops perfectly every time! Oh wow, this sounds great! I think I need to try this! I hope you do Marye – we love this side dish! Such and awesome and neat combination! Fantastic! Thanks Florian – always appreciate your support!!! I never would have thought about adding radishes to the mix but I bet they add a new layer of flavour to the potatoes… and the flavour would be a little more mellow! I’m such a lover of roasted veggies and the radish/potato combo is just great – thanks for stopping by Kaitie! Cooked radishes are the best! I love that they lose that spiciness and get so juicy and sweet once they are grilled or roasted. I think so too, thanks Kathy!!! oh my goodness! I would have never thought to roast radishes! I’m definitely going to try this! Awesome, let me know what you think Lara! Thanks for dropping by! Whoah, these look good! And I love that barbecue pic! I’ve never tried roasting radishes but I’m totally doing it asap! Thanks Kimberly, it was fun trying to get those pictures and I was so pleased! :D. Make sure you give those radishes a try, YUM!! 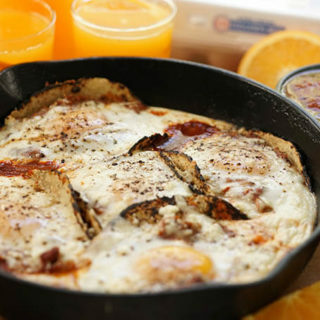 I really need to eat breakfast before I start looking at food blogs! Those potatoes look perfect and that grill shot! Nice! Haha, I totally know what you mean Linda! Thanks for the compliment on the grill shot – super fun taking pictures at night with the fire! Have a great weekend! Thank you! Love to hear what you think – thanks for stopping by!! I love radishes. When I was a kid we always grew them in our garden and ate them in salads or sliced on crackers. I’ve never had them roasted. I must try this next time I find radishes at the market (now that I’m an adult I don’t have space for a garden like in my childhood). Pinning. Us too – I’ve never outgrown my love for fresh radishes, I love that peppery bite! And one more way to work them into a meal? I love that too! Thanks for stopping by Joybee! First of all, I love those grilling photos, they came out great. I’ve never actually roasted radishes but they sound great and I’m definitely going to try it out. Thanks for introducing me to the idea. Just pinned this so I have it for garden season! I love the idea of roasted radishes! Awesome, I hope you give them a try Pamela! 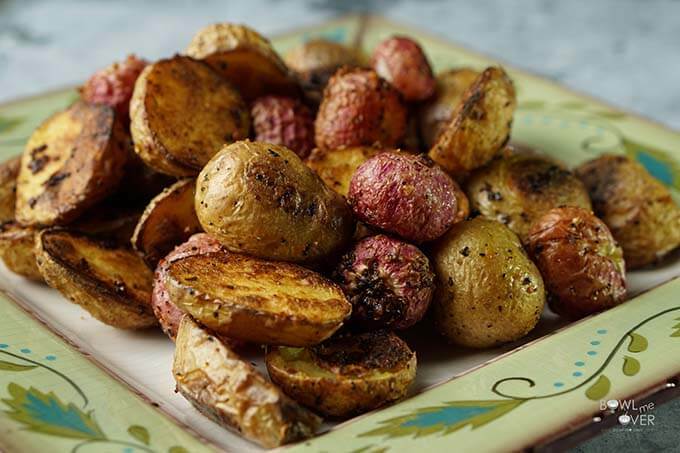 LOVE these potatoes – They were featured on Sunday’s Simple Homemaker! Thanks so much for linking up! You bet, what a fun party! Just came by and joined up again – have a great week Ashleigh!